When Megadeth bassist Dave Ellefson made the decision last year to start up his own coffee company, the move was clearly a big risk. That is because Ellefson has made a living making music and spreading that music around the world. But of course all good things must come to an end. Eventually Ellefson is going to hang up his bass and call it career. That’s the bad news. The good news is that Ellefson’s risk to start up his coffee company may very well prove to be a good move. With four lines already in production—one of which, Urban Legend, being limited edition—Ellefson Coffee company looks to already be moving in the right direction. Its “Kenya Thrash” line is obviously the company’s cornerstone. That coffee is a bold blend of Arabica and Robusta coffees whose aromatic kick is just as powerful as that present in its taste and caffeine content. It is just one of the company’s standout lines. “Roast In Peace” is another one of the company’s standout lines. While its caffeine content may not be as high as that of Kenya Thrash, it still offers plenty for coffee lovers and connoisseurs to appreciate beginning with that content. Its bold taste is just as important to note as its caffeine content. Its aroma is just as bold as its taste. Each element of this blend is important to its appeal. 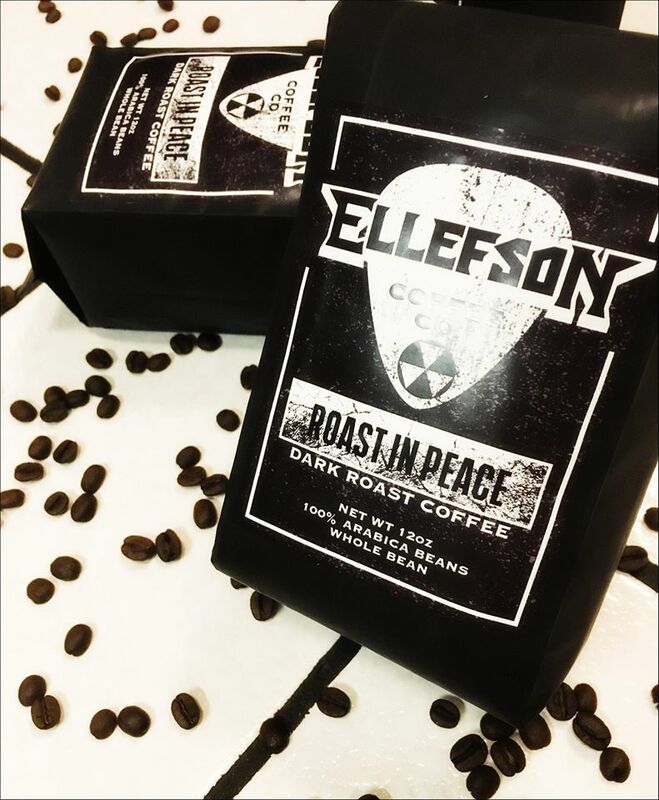 All things considered, they make “Roast In Peace” another blend from Ellefson Coffee Company that hits all the right notes. Yes, that bad pun was fully intended. 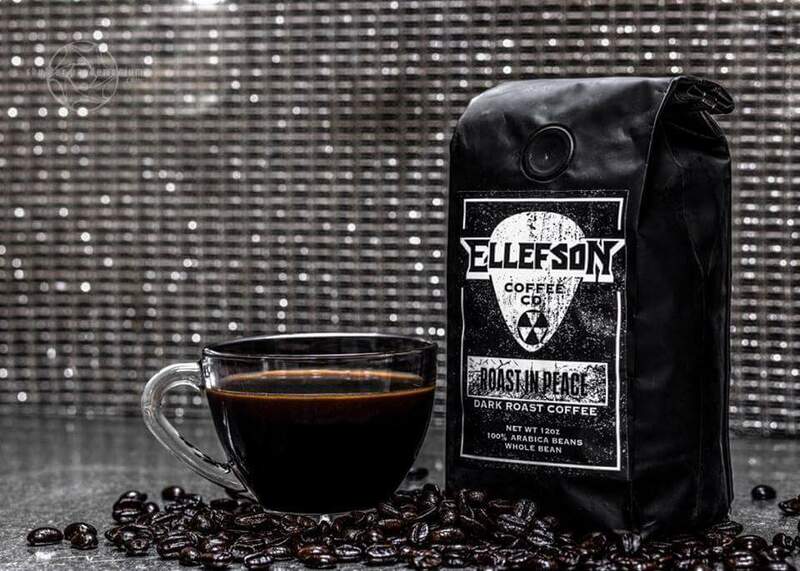 Ellefson Coffee Company has proven already to this critic that it has a fighting chance in the coffee business thanks to its “Kenya Thrash” coffee line. That blend hits about as hard as the riffs that the band churns out on its songs. It is only one of the powerful blends that the upstart coffee company has to offer consumers. Its “Roast In Peace” blend hits almost as hard and will impress consumers just as much as “Kenya Thrash.” That is evident primarily through its caffeine content. “Roast in Peace’s” caffeine content is not as high as that of “Kenya Thrash,” but it still is high in its own right. That is thanks to the fact that the Brazilian-grown beans are 100% pure Arabica. Its content is high enough that it doesn’t take long for even the sleepiest person to wake up after the first few sips. That is how high its caffeine content proves to be. There are not a lot of coffee companies out there whose representatives can say their blends are that powerful. Again, its content isn’t as high as that of “Kenya Thrash,” it still is high enough to keep consumers quite well awake through most of the day. Keeping that in mind, the drink’s caffeine content proves to be a hugely important piece of the drink’s whole. It is just one of the important parts of what makes this blend so appetizing. The drink’s taste is just as important to its appeal as its caffeine content. The caffeine content of Ellefson Coffee Company’s “Roast In Peace” blend is clearly an important piece of the drink’s appeal. Its content isn’t as high as that of “Kenya Thrash,” but is still high in its own right. It is just one part of what makes this blend so appealing. Its bold taste is just as important to note as its caffeine content. Whether one prefers one’s coffee straight or with cream and sugar (or with flavored creamers) its bold flavor is evident. Even if one prefers flavored creamers for their coffee one will be able to taste this drink’s bold taste. The thing is that just as with “Kenya Thrash’s” taste, it doesn’t overpower the creamer. In fact it creates a certain balance for a taste that presents its own identity separate from “Kenya Thrash” and other coffee companies’ blends. To that end, it makes for one more reason this blend will appeal to coffee lovers and connoisseurs alike. It is just one more of the many elements that makes this blend so appealing. Its aroma is just as bold as its taste. 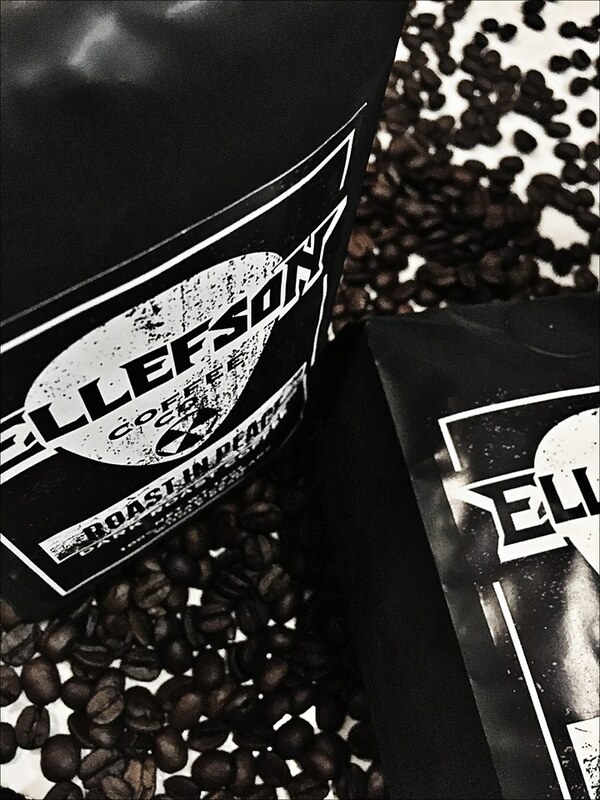 “Roast In Peace’s” caffeine content and its bold taste are both key parts of what makes this blend another sure success for Ellefson Coffee Company. They are not its only important elements. Its bold aroma packs just as much punch as its taste. That aroma is evident before the coffee even gets poured. Consumers will love the smell that fills their kitchens as it brews. It is an aroma that is right up there with the strongest blends from Folgers and other companies. As soon as that aroma hits consumers’ noses, it will bring a smile to their faces. That smile will only get bigger with the first sip thanks to the drink’s equally bold taste. When those two elements are joined with the coffee’s caffeine content, the end result proves to be a drink that will impress coffee lovers and connoisseurs just as much as “Kenya Thrash.” They combine to make it a drink that shows even more to be one of Ellefson Coffee Company’s leading lines of coffee. This entry was posted in Celebrities, Internet and tagged celebrities, coffee, Dave Ellefson, Ellefson Coffee Company, EMP Label Group, entertainment, facebook, internet, Kenya Thrash, Megadeth, music, Phil's Picks, Roast in Peace, Twitter, Wordpress by philspicks. Bookmark the permalink.